You‘ve got the dates locked in, flights booked and even a couple of buddies lined up for your big trip. You’ve started planning all the awesome activities you’ll do and places you’ll visit. And this is precisely when you start realising that you may not have quite as much saved up for this as you originally thought. So, what can you do to make sure you’ve got plenty of money for your trip of a lifetime? This week, I will talk about saving before you get on the road and budgeting while you’re already on it and share some tips that have helped me throughout my travels. OK, first of all, you do not HAVE to have loads of money to travel. I am not going to sit here and say “don’t worry about money at all” or “just wing it” but there is a reason why guides such as Lonely Planet’s “…On a Shoestring” series exist and are so popular. Budget travel is a very viable way of seeing the world and, for me personally, is pretty much the way to travel. At least until I am older, have a high-flying job and spend my mega bucks on private island getaways somewhere in the Caribbean sipping cocktails by the edge of the infinity pool. Hey, I can dream, right? It may sound obvious, but the length of the trip will often dictate your budget. You don’t need to save for months to afford a weekend getaway to Paris (unless you don’t live in Europe) but at the same time, shouldn’t expect to have a great backpacking trip in South America with only two weeks’ worth of money (unless, you have a high-flying job like in the last paragraph, in which case you probably don’t need to read this post). Air fares – there can be a BIG difference between prices of tickets. Do your research – some less well-known airlines have some great deals. I have just secured return flights to Thailand for £360/$540 with China Southern who are a decent airline. Accommodation – Staying in expensive hotels will quickly eat away your finances. Don’t be afraid of hostels, homestays and Airbnb – they will be your best friends on the road. Tours and Activities – If you are travelling independently, you have to budget for the all the awesome things you may want to do on your trip. Elephant trekking in Thailand, whale watching cruises in Alaska or sand boarding in New Zealand – they all cost money! Do your research and put aside money for some of the things you definitely HAVE to do. If traveling with an organised tour, make sure to check what activities are included. Often there will be a heap of optional activities which you will not want to miss! 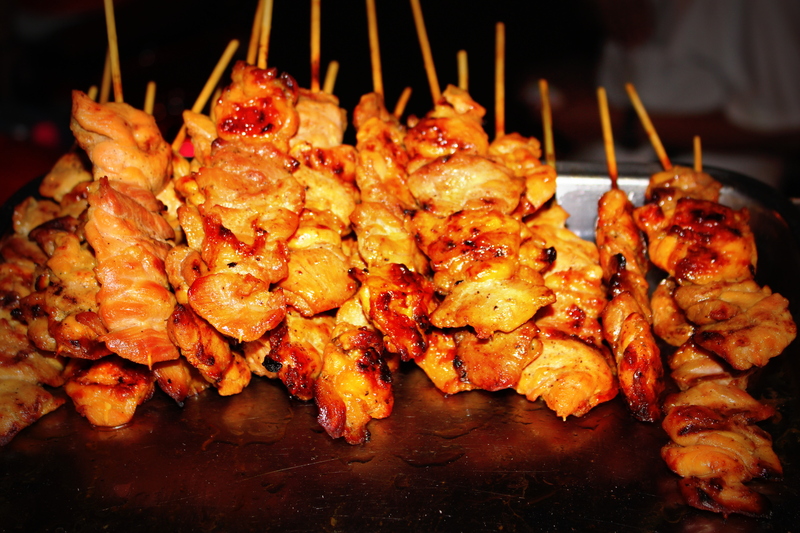 Food – Eating street food is a great way to sample the local culture as well as saving money. Eating out in fine restaurants every night will not be kind on your wallet plus it won’t be as authentic as, say, grabbing a bowl of steaming pho on the streets of Vietnam. Also, tipping plays a big role in some cultures and is worth considering when budgeting. Spending money – Some people can get by on almost nothing, others will spend a lot on souvenirs, alcohol and just everyday stuff. I am one of those people – not so much because I drink a lot or do loads of shopping, but I snack all the time and that can become expensive in certain countries. And I spend a lot on massages. Massages in South East Asia are the best. They are not expensive but you’ll want at least 2 every day. Fact! Travel insurance – Do NOT leave home without travel insurance. Simple. Make sure you get as good a policy as you can afford – you just never know what can happen when you’re abroad and you cannot always expect the levels of healthcare you get at home. Also, don’t just get it on your way to the airport like I have been known to do! Essential purchases – Something that many don’t automatically think about but very important. You will likely need to get a few things for your trip – clothes, travel adaptors, maybe even a new backpack! I spent a lot of money before my USA trip this year on various adaptors, hiking shoes and travel guides. Factor this in! Travelling to the airport and a coffee/sandwich while waiting for your flight alone can set you back around £30/$45 – all these costs add up! Street food will be your friend on your travels! Ok, so you know how much money you will need for your trip. Now, how do you actually go about making sure you hit your saving goals? Open a savings account! – This is a super easy way to keep your money out of reach so you don’t end up spending it. Most banks will allow you to open an account and link it in to your main one. You can then transfer money in and out at will (check with your bank) and having it there will make you think twice about spending it. Check out some of the best UK savings accounts here. Put away money when you get paid – Decide how much you want to save every month and put that money aside as soon as you get paid! This way you will know exactly how much you have to spend until your next paycheck. Try not to touch what you put aside unless there is an absolute emergency. Cut out unnecessary spending – This is sometimes easier said than done BUT a great way to maximise your savings. Alcohol, cigarettes and coffee are all things that will cost a lot and cutting down will make a massive difference to the money you have available (and to your health too!). Alcohol prices in London are ridiculous and I now rarely drink when I go out – or limit myself to a couple of beers. Coffee also adds up – if a Starbucks coffee is £3/$4.50 and you have one every day, that’s a whopping £21/$31.50 a WEEK, about £85/$125 a MONTH and over £1000/$1500 a YEAR. That could easily pay for flights to the other side of the world or give you a VERY comfortable couple of months in South East Asia. Walk to work – Or cycle, or jog, or use public transport. Driving to work can be very expensive with petrol, tax and maintenance costs all adding up. I no longer have a car, partly because of the extra costs I am not willing to incur and partly because having a car in London is pretty pointless. So next time, leave the car at home and walk, even if only part of the way. Not using the car is cheaper and healthier, too! Get a second job – I know a lot of people who have saved a heap of money by doing some part-time work in their spare time. Bartending, working in stores, tutoring, sports coaching…there are loads of ways to make a bit of extra money on the side. Pick something you enjoy and remind yourself it’s only temporary. Two paychecks are better than one! Move in with your parents – This applies to those who still don’t own their own home and who are in a decent enough relationship with their parents. Rent is expensive (if you live in London, you know what I am talking about) and even a few months at home will save you a lot of money. They might even cook for you! There are loads of ways to save money and you might have your own tips and tricks for saving. Don’t forget to share them, drop me a line! Try and avoid expensive “express” trains to and from the airport. There is usually always a cheaper (albeit slower) alternative. It may be a bus or a commuter train but it will nearly always get you to the same destination for a much lower price. Try to avoid expensive food at the airport. Alcohol and restaurant food is usually ridiculously overpriced. Fortunately, chain cafes are not too bad and the prices are not too different from those on the high street. Don’t pay for seat selection on flights unless you absolutely have to have that extra legroom or a window seat. Asking at the airport when you are checking in/dropping your bags normally lets you have a choice for free! Don’t get ripped off by taxi drivers – make sure they are using a meter or agree a price before you get in. Knowing roughly how far you’re going helps – I always get quoted an extortionate amount (ok not extortionate, but triple what it should be) in Bangkok but a quick white lie along the lines of “I live here so I know how much it is” usually works. I’ve covered it before but here it is again – street food! Tasty, authentic and CHEAP. Don’t miss out on sampling some local delicacies at a fraction of a price of posh restaurants. Whatever you do, just don’t go into McDonalds. You’re better than that! Try and avoid eating somewhere where many tourists congregate. Chances are the food prices will be way higher and the food doesn’t tend to be as good either. Don’t be afraid to explore alleyways and quieter districts. If you see loads of locals eating somewhere, this is the place to be! Locals know best and the prices won’t be aimed at tourists! Cook once in a while – simple meals won’t cost a lot to make and you can even share the duties with fellow travellers! Stock up on snacks for your journey – in some countries, you might be on the road for hours at a time without a stop! 7-Eleven and Circle K in Asia, for example, are on practically every street corner and are a great place to get food, water and even alcohol. Way cheaper too! Shop around if exchanging your money into a local currency. And never exchange money at the airport. You will get absolutely ripped off. Banks tend to be better, but there will also be currency exchange places with good deals. My advice: check www.xe.com for the latest market rates and then take off a few pennies/cents/baht/yen off that for the high street rate. For example, at the time of writing, £1 is worth US$1.50589, however I wouldn’t expect to get more than $1.48 on the high street. 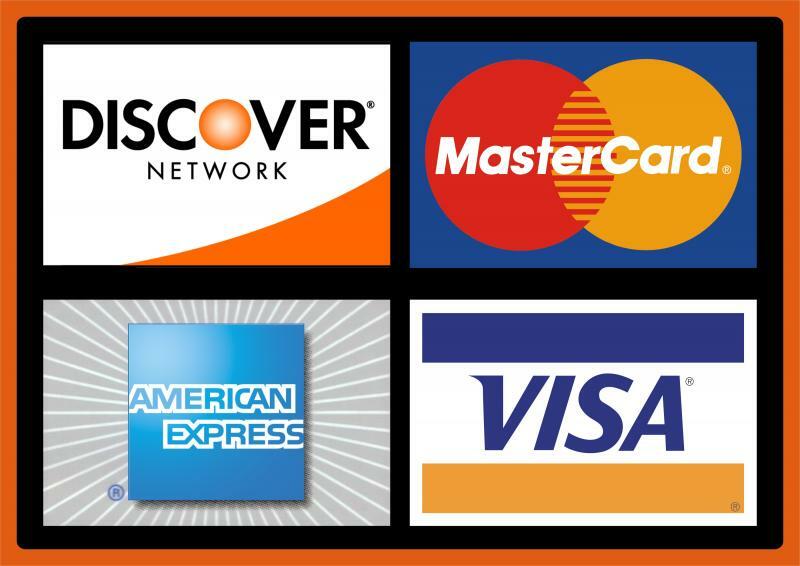 Get a travel money card – these are great and can be loaded with multiple currencies at the same time. My travel money card allowed up to 6 currencies and came in super useful. You basically use it like a debit card, sparing you from hefty bank fees in the process. It can be used for withdrawals and for paying for goods and you will not need to worry about exchange rates plummeting all of a sudden as you lock in a rate when you put money on it. Haggle – you can get a great deal by bargaining with locals. Be respectful and fair – haggling is like an art form but can be very useful when buying stuff in certain countries. Don’t just do it for the sake of it though – if something is super cheap when converted into your currency, is it really worth saving another 50 cents? That money could make a big difference to the locals. Don’t pay for Internet – coffee shops, cafes and restaurants often offer free wi-fi. They will tend to advertise that fact too but if you can’t see a sign, just ask! Otherwise, just wait till you get back to the hostel! Or, better still, put the phone away and look up – there is a wonderful world out there! Use Skype – it’s fantastic for keeping in touch with friends and family back home and while Skype-to-Skype calls are free, calling landline numbers/mobiles is way cheaper than using your phone. I top up my skype credit once in a while and it lasts for ages. Very handy if you need to urgently speak to your bank, for example – you will probably be on hold for ages but Skype credit means you won’t mind too much. Hostels/Airbnb/Couchsurfing – don’t be afraid of using these three. You will save a lot of money, make new friends and get a feel for how the locals live. Hostel staff can point out secret places, great street food stalls and help you book tours and even onward travel. Airbnb is great for bagging rooms and even whole apartments and mixing it up with locals while Couchsurfing lets you stay with people for free. They might even show you around! Do your research and get out of boring, samey hotel rooms! Free accommodation – if you are travelling for longer periods of time, enquire about working at hostels/guesthouses. You could get yourself free board for working reception, cleaning or serving in the bar. Definitely worth a try if you fancy staying somewhere longer! Group discounts – try and get a group of people together who want to do the same activity. There are usually plenty of willing people in hostels who will want to check out that waterfall everyone recommends or go on a day trip to a nearby town. You might get better rates for bringing a few people along plus it’s a great way of meeting new people and sharing the fun! Shop around – many companies will be offering exactly the same trips, and some will be willing to offer you a discount or throw in a freebie. Check online for reviews to make sure they are a good company to go with. These are just some of the things that could help save money before and during your travels. As always, this list is not exhaustive but it will hopefully give some ideas to those saving for their next trip. Travel doesn’t have to be expensive but It’s better to be prepared! Next time, I will talk about getting the right luggage for your trip. This entry was posted in So You've Decided To Travel and tagged adventure, budget, food, internet, money, tips, travel, travelexx, wanderlust.